All of the comfort food without any of the wheat. Zucchini sliced into strips, and then grilled, replaces pasta in lasagna, alongside seasoned meat, ricotta cheese, and rich tomato sauce. 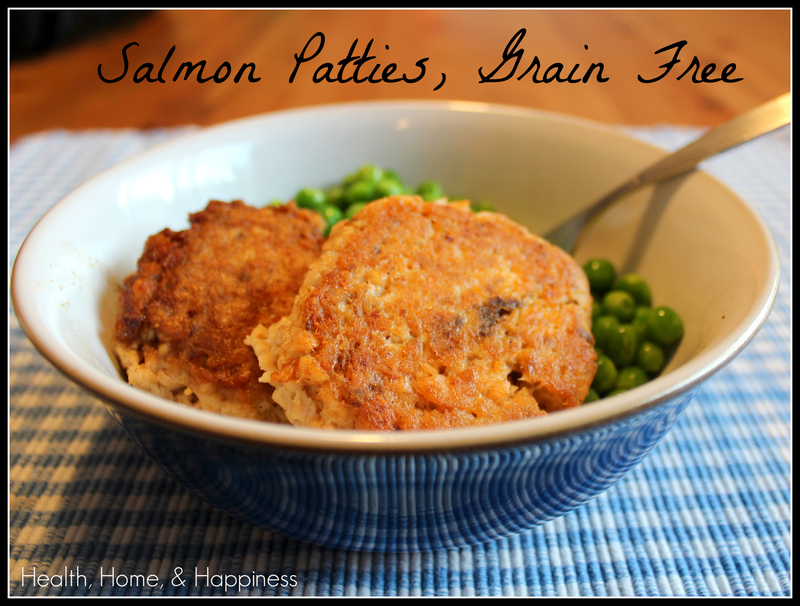 This meal makes three 8×8 or 8×10 pans full, enough to put two in the freezer for a later day. If you’ve had trouble with zucchini lasagna in the past, you probably didn’t grill the zucchini first. Failure to do this makes a watery (albeit delicious!) mess. I know it’s hot in the kitchen this time of year, you could do this on a grill outside… and also we do a bunch at once, both to process your bountiful harvest of zucchini, but also so that you only have to do this process once! Lasagna is a classic meal to make extra and store extras in the freezer or bless friends with, and zucchini lasagna is no exception! Fresh summer zucchini, stick a couple in the freezer for the ultimate comfort food. Heat a griddle over medium heat and grease with avocado oil. 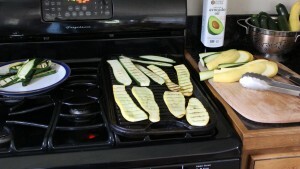 Grill zucchini slices side by side, 5 minutes on each side, or until soft and becoming translucent. Set aside cooked zucchini slices and continue with batches of zucchini. As you grill the zucchini slices, brown the ground beef in a large pan. Mix 1/2 teaspoon sea salt and 1 clove garlic, crushed, into the ricotta cheese. After the beef is browned, add the tomato sauce, 2 cloves crushed garlic, pepper, parsley, basil, and 1 teaspoon sea salt. Grease three 8x8 or 10x10-inch pans with avocado oil. Layer a single layer of zucchini slices in the bottom of each pan. Next layer meat sauce, ricotta, zucchini, and continue as you have fillings. Top with mozarella evenly, and cover with foil. Put container in a freezer bag and put in the freezer. To bake that day, keep covered with foil and bake at 350* for 30 minutes, then remove foil and continue cooking for 15 more minutes uncovered. To thaw frozen lasagana for later, thaw overnight in the fridge, bake at 350* for 45 minutes covered, and again, 15 minutes uncovered. Use disposable 8×8″ foil pans and assemble lasagna as directed. Do not bake (the grilling process stopped the enzyme activity in the zucchini so you don’t have to worry about it being soggy after freezing). Slip assembled lasagnas in a gallon freezer-quality zip-top bag. The 8×8 foil pan should fit exactly into the bag as long as it is not over full. Carefully place in freezer upright so the lasagna does not spill. 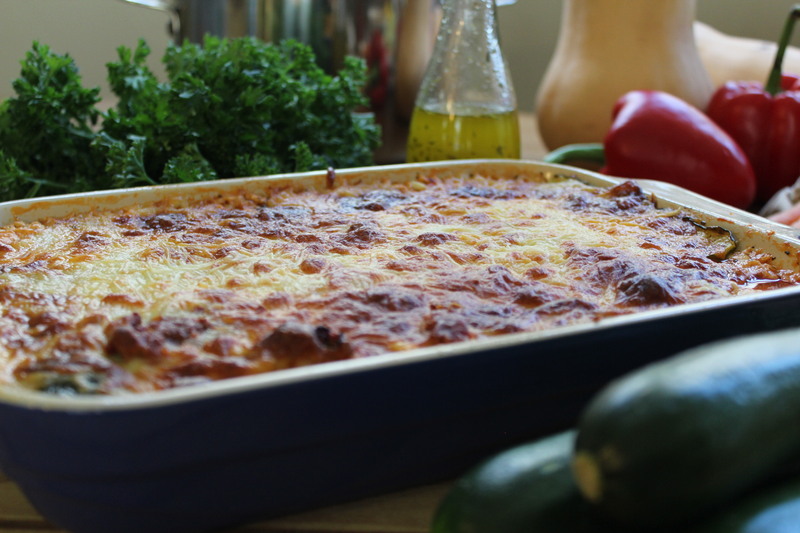 Once it is frozen solid, you can turn the lasagna sideways in the freezer for easier storage. 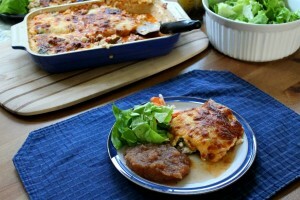 To bake, move lasagna to fridge 24 hours prior to when you want to bake it so that it can thaw, then bake as directed. Alternatively, you can use glass freezer-to-oven containers with air-tight lids. Be careful with frozen glass, though, as it is incredibly brittle! Under fill the glass containers so that there is an inch for expansion as the lasagna freezes. This recipe is made as part of our Mediterranean cooking day in the Afternoon Cooking Class. Join us for more fun Italian recipes bursting with flavor and nutrition! Do you have more zucchini to use up? 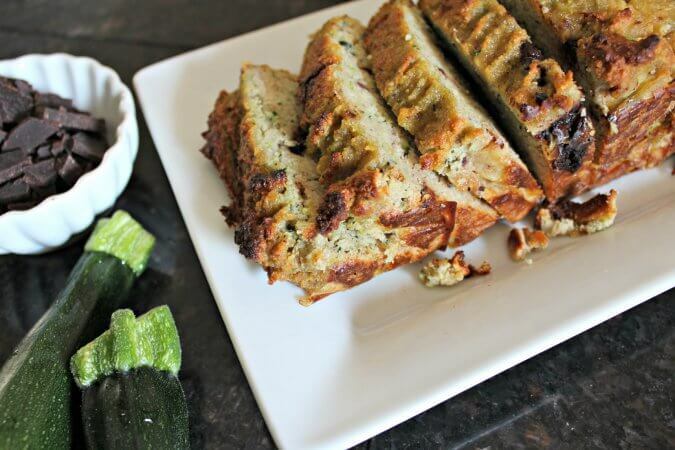 Check out this sweet chocolate-studded Grain-Free Zucchini Bread! I’ve never grilled mine first. I’ve salted them and attempted to drain them. Does your Z lasagna come out watery? That’s my biggest hurdle with the veggie substitute. Delicious! Once I ended up just making it into a thick soup because it was so watery! Well, time to grill ’em on up! Thanks. Last week I just made a stovetop version. — browned meat and onion, tossed on cubed zucchini, topped that will sauce and then cheeses. Pretty tasty, didn’t use the oven, and ate it from a bowl! 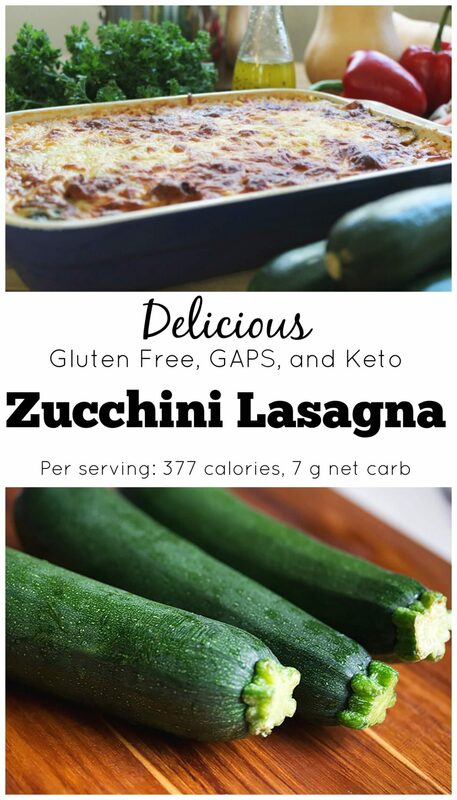 the zucchini lasagna looks so tasty, great tip about grilling it! Just made this yesterday. Soooo good! My first attempt at freezer cooking and I was so excited to know I have 2 more of them. Thanks Cara!